Claire Foison is a French pianist. She was born in 1971. She started her musical career under the influence of her father and pianist Christian Foison who received the heritage of Masters Vlado Perlemuter and Alfred Cortot. Her training was continued in Bruno Fabius’ class at the conservatory of Nantes, in Gilles Bérard’s class at the conservatory of Boulogne Billancourt, in Jacques Coulaud’s class at Versailles and was marked by courses and master classes with Dominique Merlet, Halina Czerny-Stefanska, Marc Lafôret and Jean- Claude Pennetier. She was awarded first prizes in Nantes, Versailles and Boulogne- Billancourt conservatories. She successfully completed her studies with both a teaching and performance diploma at the Ecole Normale de Musique de Paris in André Gorog’s class. Today Claire Foison divides her professional career between the conservatory of Boulogne Billancourt, where she is a pianist teacher, and concerts in France and abroad. She builds her repertoire in the course of her career with musical works from 17th to 21st century in both famous and unexpected places. Thematic recitals, concerts for peace with the orchestra and choir of the Morbihan in Britanny, in the famous Salle Cortot in Paris, at high altitude in the Alps in the Ubaye valley, several musical seasons with the choir Chant Libre for the Festival Molière of Versailles and the Parisian chorus Tréteaux Lyriques, and she is also regularly invited in the Mayenne region in Sainte-Suzanne for their musical season. She performs with the US coloratura soprano Cherise Lukow in the duo Divines Divas, and with the French mezzo-soprano Marion Lebègue in the duo Accords de cordes. 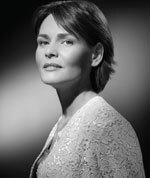 She also appears in chamber music ensembles with musicians such as Christian Foison, Bahia El Bacha and Rodolphe Gault in Nantes, Jean-Philippe Kuzma, Emmanuel André, Benoit Marin, and Jérémie Maillard, musicians in the Radio France orchestra, with violinist Cyrielle Eberhardt from Pygmalion orchestra, with Isabelle Lequien, Jeanne-Marie Conquer, Philippe Bary, and Thierry Maurin, musicians of the Quad ensemble, with Renaud Bary, double bassist in the Garde Républicaine orchestra, and with Cyril Gesthem, violinist of the Opéra de Paris orchestra. She has travelled and performed concerts in France, New Caledonia, Japan, Colorado, Texas, Djibouti and Zimbabwe specifically for the Alliance Française, as well as in Lebanon. She has the great honor of being the dedicatee of the first piano concerto of Naji Hakim. The world premiere took place in Beirut, Lebanon in December 2015 under the direction of the Italian conductor Francesco Lanzilotta.